For 73 years, a Coloradan could earn a high school equivalency diploma by passing a series of General Educational Development exams. While that may soon change if Colorado’s Board of Education allows other companies’ high school equivalency exams to be used for a Colorado High School Equivalency Diploma, the purpose of the GED remains the same: opening the door to college, the workplace and a more stable life for adults and their families. Dropping out of high school is expensive for everyone. High school dropouts earn far less, have a lower employment rate, are more likely to be on welfare and have a higher rate of incarceration than those who complete high school. In La Plata County, more than a third of high school dropouts ages 25 to 64 are not employed. Earning a GED can drastically improve a dropout’s life forever. Ideally, possessing a high school diploma or an equivalency diploma demonstrates preparedness for employment or college. The U.S. struggles with the academic gap between high school and college. According to U.S. News, 20 percent of four-year college freshman and 60 percent of community college freshmen need remedial courses before beginning college-level work. The Durango Adult Education Center is facing this gap head-on. DAEC is a nonprofit organization whose purpose is to prepare people for careers and college. As the needs of the workforce have changed rapidly in the past decade, it made sense for the GED to adapt along with high school graduation requirements. Expectations for basic if not sophisticated tech and problem-solving skills are now the norm in the workplace, and we help our GED students rise to that challenge. When the GED test became more rigorous and computer-based, DAEC had a drop in HSE completion as did Colorado and the nation. As nearby states adopted other HSE exams, (New Mexico and Wyoming adopted the HiSET), DAEC stayed focused on preparing its learners for the academic complexity required to pass the GED rather than encouraging them to drive 50 miles south for a different test. Instead, to strengthen our students’ success, we adapted our instructional approach to better prepare learners for the GED, college and ultimately, for livable-wage careers. Our center delivers intensive classes taught by experienced, credentialed teachers; with this model, our learners master one or two core subjects at a time before moving on to other subjects. Our students take GED exams only when they have demonstrated readiness through practice tests and teacher recommendation. While this approach sometimes means a longer study period, passing a test the first time indicates attainment of the foundational knowledge and thinking strategies a student needs to be successful in the larger world. Persisting through sustained study and daily effort builds confidence and authenticates skill levels as well as developing grit in our adults, a key attribute for a satisfying life. This approach has resulted in phenomenal passing scores at DAEC, higher than both Colorado and national scores. The Durango Adult Education Center presented this instructional model at a regional adult education conference recently, and participants were so impressed that we’ve been asked to provide training to other adult educators so GED scores can improve statewide. While working on a GED, our students are also exploring careers and post-secondary options, gaining employability skills and receiving ongoing support. They learn crucial life skills such as personal budgeting, self-advocacy and goal setting. Former graduates who need help transitioning into college and careers also receive services. With funding from private donations, grants and service clubs, students receive financial support to overcome barriers to attaining self-sufficiency. 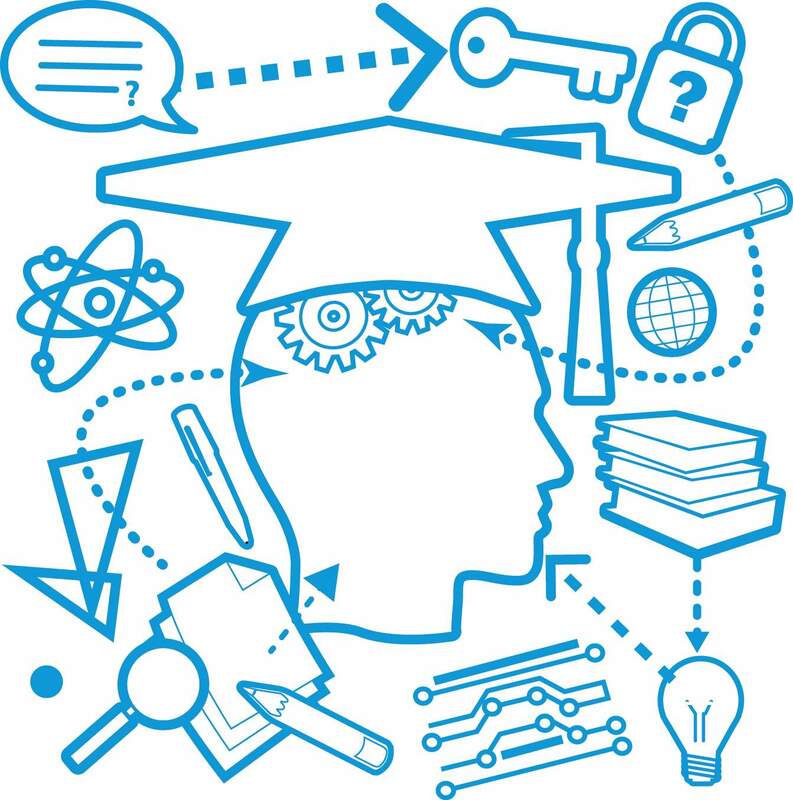 Critics of the revised GED lament the perceived level of difficulty for those not wanting to pursue college but “just get a job.” Defenders of the GED view basic technology skills, critical thinking and clear writing as appreciated by employers. As a program focused on getting its students into high-demand, middle-sector careers, DAEC ensures that GED completers are ready for college by aligning our curriculum with college entrance standards. Another concern about the GED is increased test fees, but DAEC has never turned away a student in need. Our community recognizes that education strengthens us all, and DAEC is grateful to receive strong local support so that our students receive a quality education. Earning a GED is a major accomplishment and an incredible confidence booster for most adults. The Durango Adult Education Center has an upcoming GED Graduation ceremony, generously sponsored by 1st Southwest Bank. Please join us to celebrate this milestone with our students at 6 p.m. Dec. 16 at Durango Public Library. Teresa Malone is executive director of the Durango Adult Education Center. Reach her at tmalone@durangoedcenter.org.